Hamilton created a new version of its Khaki X-Wind Auto Chrono, a limited edition that will be produced in 1,918 pieces. 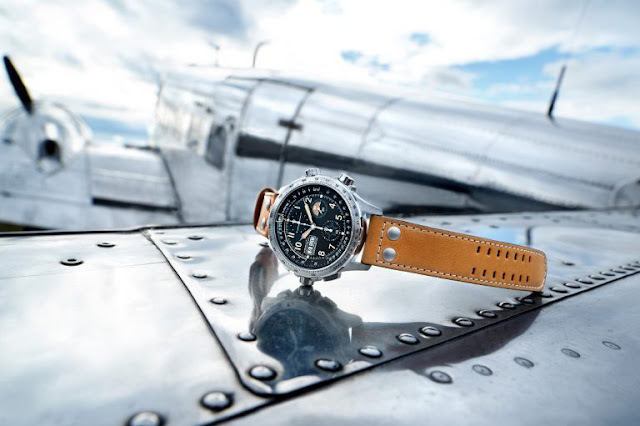 The link of Hamilton with the aviation world is clearly evident in the design of the watch. Framed by a 45 mm stainless steel case and protected by an AR-coated sapphire crystal, its multi-level black dial features the world’s first drift angle calculator in a watch. When an aircraft is flying in a crosswind situation, a correction must be made in order to keep it from being blown away from its desired path. 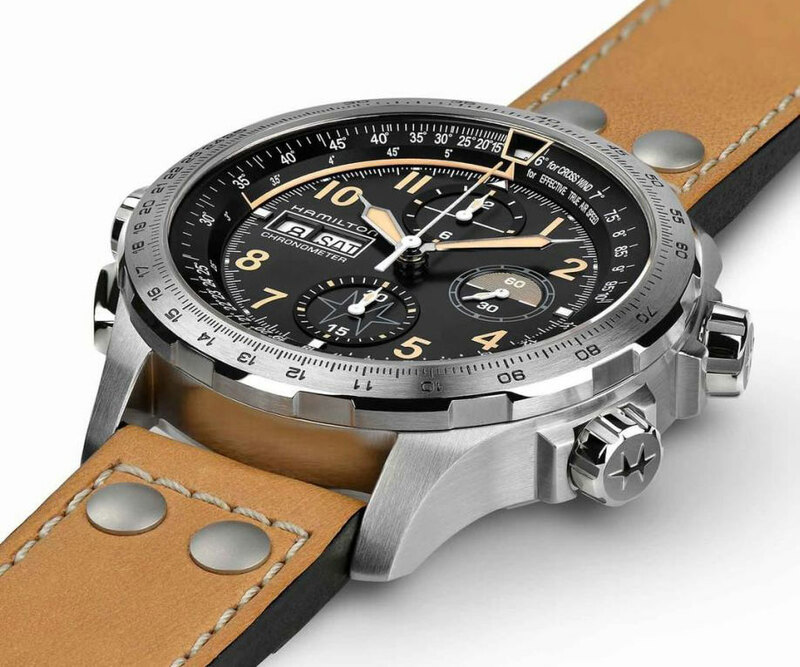 This correction is called the "Drift Angle" and can be calculated with the Khaki X-Wind Auto Chrono operating on the two crowns at 2 and 4 o'clock which control the lower and upper bezel respectively. Movement is the Swiss automatic Hamilton calibre H-21-Si (based on the ETA Valjoux 7750) beating at 28,800 vibrations per hour and offering a power reserve of 60 hours. It features a silicon hairspring and is COSC-certified as a chronometer. Hamilton - Khaki X-Wind Auto Chrono Limited Edition. 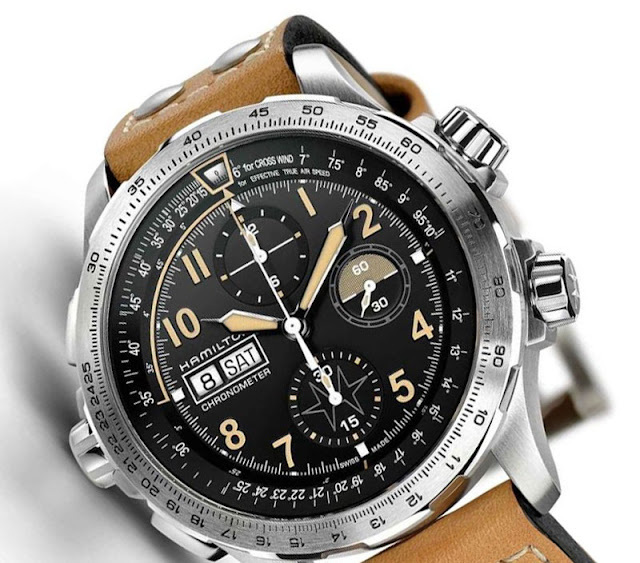 Hamilton created a new version of its Khaki X-Wind Auto Chrono, a limited edition that will be produced in 1,918 pieces. 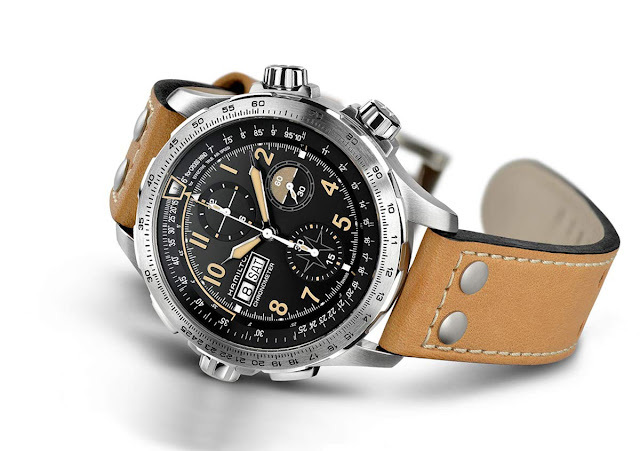 The Hamilton Khaki X-Wind Auto Chrono Limited Edition has a price is Euro 2,295 / US$ 2,595.